Charles Finster or Chuckie as his friends call him is part of a cartoon show called Rugrats. He is an adorable and cute kid with red cool hair and funky purple glasses. He is the scaredy-cat of his group and is best friends with Tommy (another character from Rugrats). He’s scared from germs, cartoons or monsters on cereal boxes and much more. He’s like that one friend in your group, whom you have to reassure that things will be alright all the time! Chuckie’s costume is a simple one. 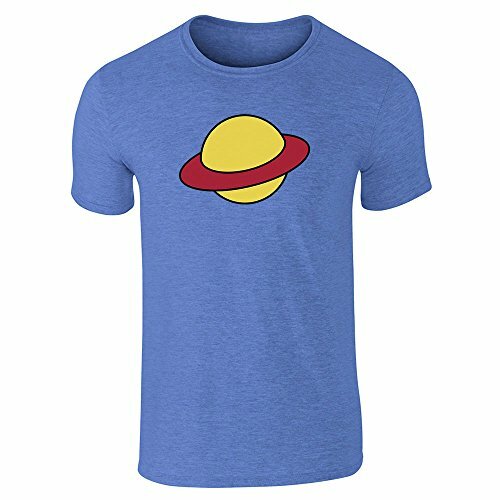 It consists of: A blue shirt with a picture of Saturn on it, purple funky glasses, red hair, yellow socks, red shoes, green shorts with a slight pattern on it. Although the costume is available online you can also make it yourself from scratch if you want to, this post will cover both options. Before we dive into the do it yourself guide here are are a few pre-made options for you to check out. Here is one for adults and one for children so fans of all ages can participate. 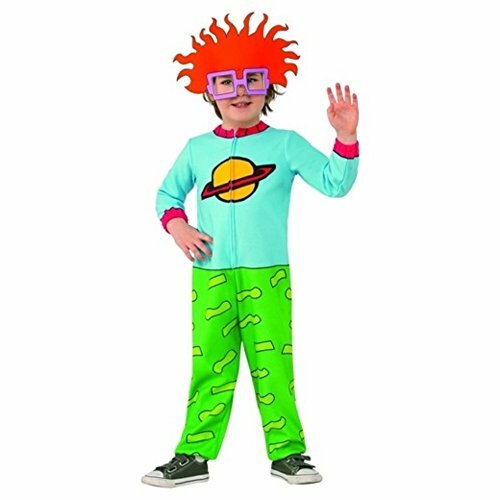 The first item you’ll need to put this costume together yourself is a wig, then add a pair of purple thick rimmed glasses just like the ones Chuckie wears in the show. 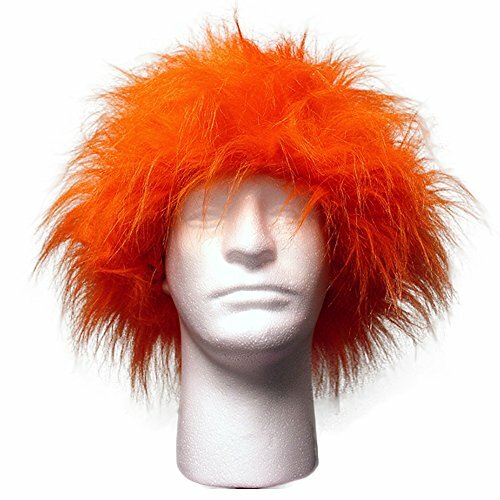 You’ll want to style your wig as closely to the character as possible. Then you’ll need Chuckie’s famous Saturn shirt in blue like the one we’ve picked out for you above. This one is targeted towards children. 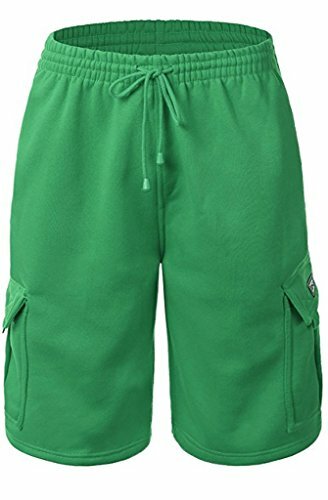 Then add a pair of green shorts, which you can either pick up from the link above or check out your local thrift stores for a bargain. 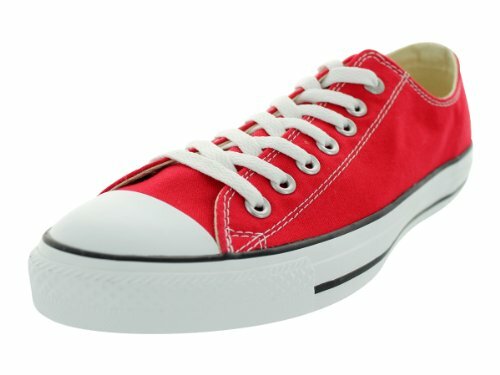 Finish by adding a pair of red converse sneakers or another type of slip on red sneakers that look similar and a pair of yellow socks. If you own a blue shirt then grab it. Paper mache or a fabric of any sorts preferably white. If you own a blue shirt among your clothes than grab it but if you don’t then either borrow it or buy one from Walmart. A simple blue shirt will suffice. Now the shirt consists of Saturn on top of it so in order to make a Saturn, you need utensils. First decide what type of Saturn do you want, a simple paper one or a fabric one. Whichever you decide upon, grab any of the two in white color. Cut it into a round shape and paint it. Keep it aside for drying process. After it’s dried up, glue it on the shirt. Next grab some green shorts and slightly jungle green tape. The patterns on Chuckie’s shorts are strip like. Cut the tape in such shapes and stick it on the shorts. 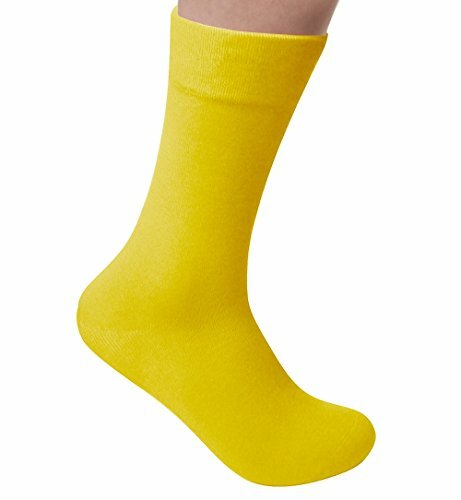 If you have long yellow socks then fine but if you don’t, then dip long white ones in a bucket of yellow paint or paint them accordingly. You can use short socks for it as well. 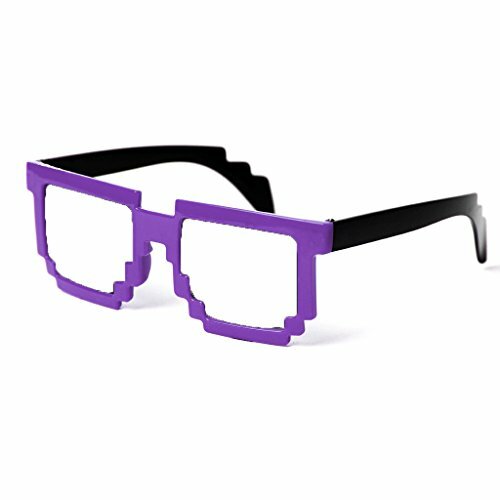 Glasses are available at every store but you can spray an old frame with purple color. Either dye your own hair or purchase a wig from the market. Pair it up with red shoes and your look is complete!